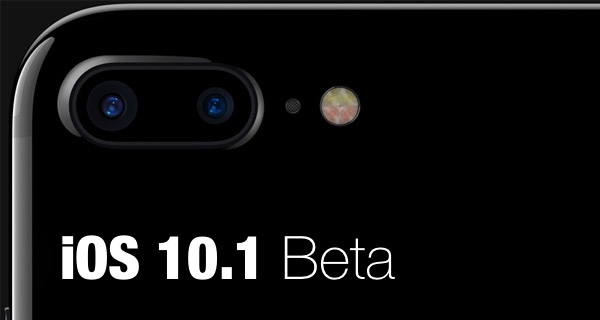 After releasing beta 4 only a couple of days back, Apple is now seeding iOS 10.1 beta 5 download, but only for iPhone 7 and iPhone 7 Plus devices, as well as macOS Sierra 10.12.1 beta 5 for Macs. 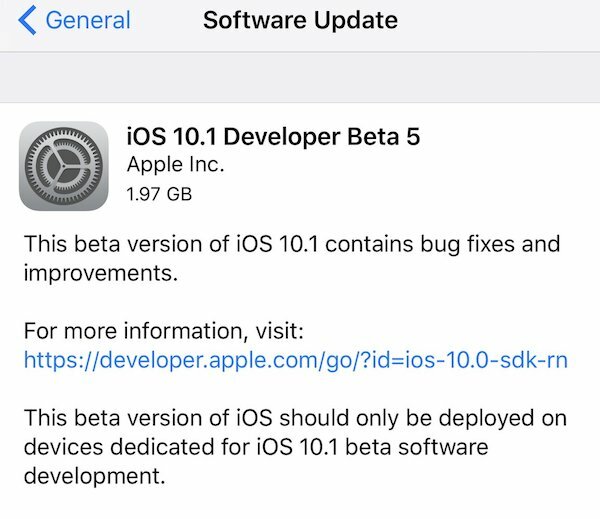 Available to both developers of Apple Developer Program and public beta testers of Apple Beta Software Program, it seems like beta 5 of iOS 10.1 adds in same changes as iOS 10.0.3 released for iPhone 7 and iPhone 7 Plus earlier this week which fixed cellular connectivity issues on carriers like Verizon Wireless in the United States. With Apple’s 2016 Mac event rumored for next week on October 27, it’s very likely now that we will see final versions of both iOS 10.1 and macOS Sierra 10.12.1 released to general public on the same day Apple announces its updated range of Macs. As for what’s new in iOS 10.1 and macOS 10.12.1, while iOS 10.1 release adds in couple of new features for iPhone 7 and iPhone 7 Plus users, like the Portrait mode which takes advantage of dual-lens camera in iPhone 7 Plus to take shots with depth effect, macOS Sierra 10.12.1 is more of a maintenance release designed to make your Mac experience smoother and trouble-free than ever before. macOS Sierra 10.12.1 is also expected to pack support for rumored OLED Touch-bar in the upcoming 2016 MacBook Pro but we’ll learn more about it at Apple’s event next week. To download iOS 10.1 beta 5, head into Settings > General > Software Update to get the update directly from the device if a previous beta version is already installed. Mac users can get macOS 10.12.1 beta 5 from updates section of the Mac App Store. If this is the first time you are installing beta of these two operating systems, you will need to either head to developer.apple.com or beta.apple.com to get started. Update: Apple has released beta 5 of macOS Sierra 10.12.1 as well. The post above has been updated to reflect this change. I’ve got an issue where i had 10.1 on my iPhone 6. I got my iphone 7 today, installed the public beta profile restarted it, logged into the feedback app and it is only on 10.3 and wont update back to 10.1 thus meaning i cant restore my iPhone back to the same as the 6 – am i doing something wrong? I have the same problem 7 is on 10.0.3 iPhone 6 on beta 10.1 Can”t update the 7 to 10.1 . Found any solution?